Our quality helium tanks will ensure your helium balloons are filled with quality helium for a lasting effect. All our helium tanks are easy to use and contain safety guidelines. 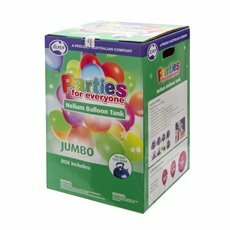 Our helium tanks can be used to inflate both our ranges of latex balloons and foil balloons with less effort. At Koch & Co, we deliver and distribute helium tanks for your balloons Australia wide, including Sydney, Melbourne and Brisbane. We import all our helium tanks directly so we can sell them to you at wholesale prices.